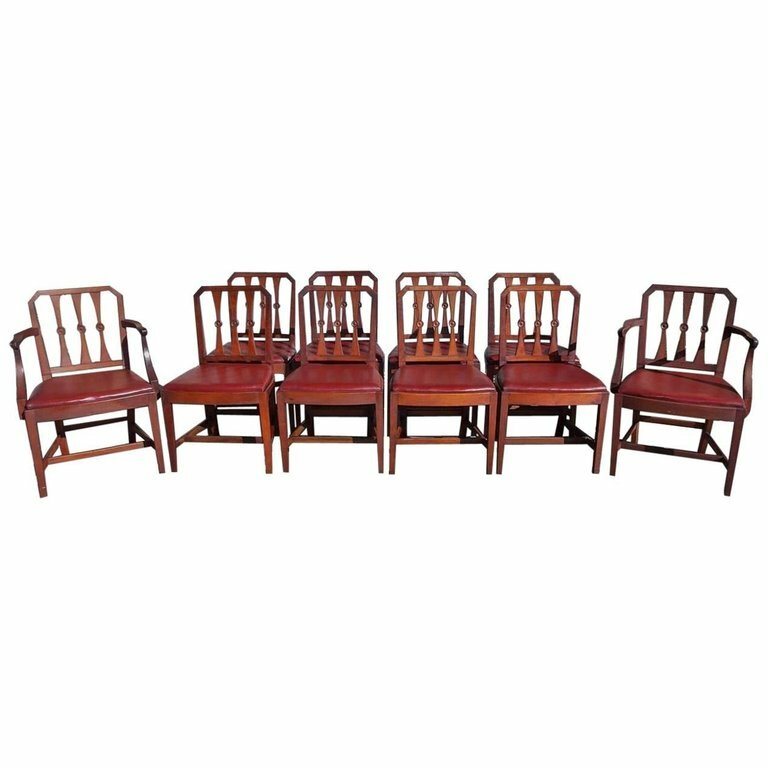 Set of Ten English Regency mahogany dining room chairs with carved molded edge rails, tapered circular splat backs, removable leather seats, and terminating on squared legs with connecting stretchers. Early 19th Century. Set consist of two arms and eight sides.